Weight: football players build, 115 pound lap dog adopted from the Humane Society of the Palouse in 2008. Nickname: Pig Pen, my hair collects all the dirt I roll in. Likes: fun dogs to play with, stealing other dogs toys, kind people who want to pet me, dad, sleeping with dad, and my late brother Vegas. Dislikes: aggressive dogs, mean people, the vacuum. Hobbies: playing with dogs, collecting park grass and pine needles in my curly hair, chewing rawhide, chewing branches off the pine trees, jumping on dad’s head as he drives the car, loving everyone. Perfect Date: anyone who wants to play and love me. Throw in some treats and rawhide and my heart will pound. Best Friends: Barney, Oscar I, Oscar II, Rico, the late Maverick and of course dad. Music: Disco, Donna Summers rocks, yea I know, but I am a dog, get over it! Interesting Facts: I am one of the few dogs who can steal Xena’s Frisbee and get away with it. Vegas was the best of friends anyone could have. He had a true heart of gold that blessed many with his love during his life. Vegas loved everyone and everyone loved Vegas. He is missed dearly. He had been known as the ball dog in three cities of two states. He was a wonderful Golden Retriever adopted from the Humane Society of Columbus, Ohio. 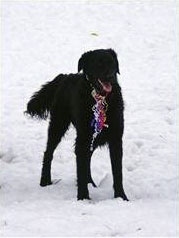 He visited the dog park from August 2001 until his death from cancer in April 2009. To know Vegas was to know the true meaning of love. He adored his late sister Panda, his brother Cosmo, all the dogs and people in Ohio and Idaho, and his dad who was his life partner. Vegas visited the dog park (daily, 2-3 times a day when younger) longer than any other dog in Moscow. The dog park was his home away from home. Vegas visited the dog park over 3000+ times during his life and cherished every visit doing his infamous moon walk and pulling grass around his ball. He rode the short bus with his OCD and was proud of it every minute of life. He is missed dearly and remembered forever. Panda was an adorable lab/chow mix found on the streets of Columbus, Ohio. When adopted she had signs of abuse and neglect. As Panda become older, she became very protective of her dad and brother Vegas so she didn’t get along with most dogs and people and few knew her in Idaho. She was the angel/devil dog, showing deep love to those she accepted into her family, while keeping all others away. She would sneak into the dog park when no people or dogs were around and loved to chase the buses driving up to the school bus yard. When they opened or closed the gates it was like the changing of the guards for her. She was a tough street dog who dreamed of riding on the back of a big Harley motorcycle. She truly adored her dad, brother Vegas, and Becky at Windy Ridge Kennels, one of the few people in Idaho besides her immediate family who saw her loving angel side.